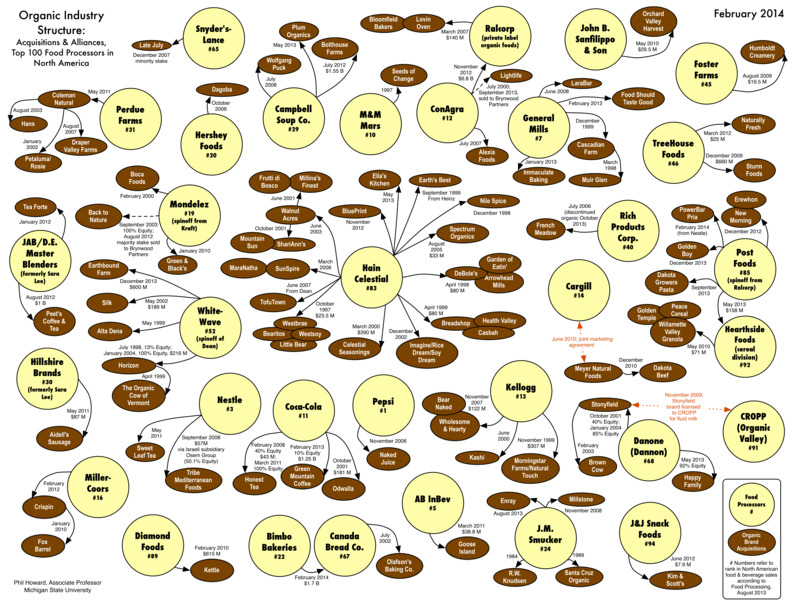 Most organic advocates have heard of “Who Owns Organic,” a popular infographic featuring independently owned organic food companies vs. organic companies now owned by Big Food. Unfortunately, Who Owns Organic has recently been updated and organic food purists are not going to be happy with said update. 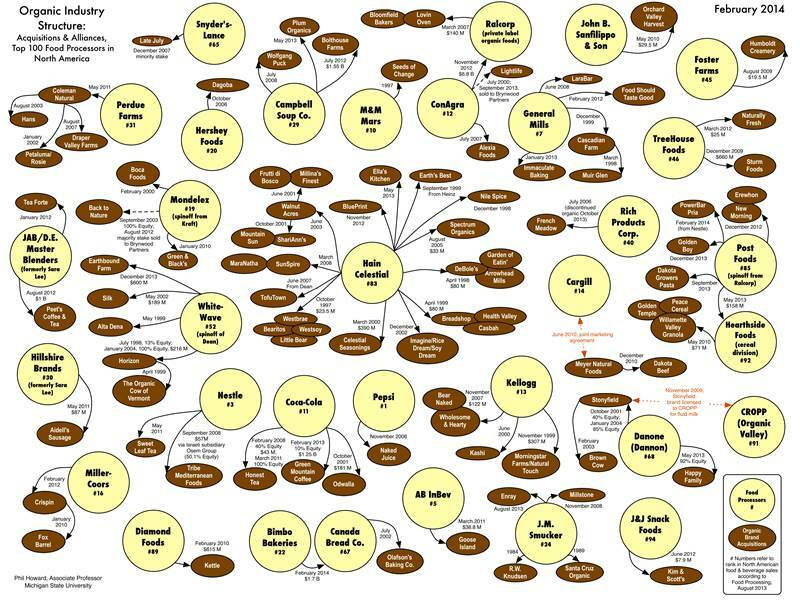 Back in 1995, there were around 81 independent organic processing companies in the United States. Fast forward to present-day, and the current Who Owns Organic shows that there are just 15 independent organic companies left. Howard tells The Cornucopia Institute, “Consumers who want food companies that embody more of the original organic ideals would do well to seek out products from independent organic firms. Given the very uneven playing field they are competing in, independent organic processors are unlikely to survive without such support.” Another great place to buy small-company organics is directly from local organic farmers. Visit Local Harvest to find small family farms, farmers’ markets and more. The updated chart and scorecards are available for download at The Cornucopia Institute.